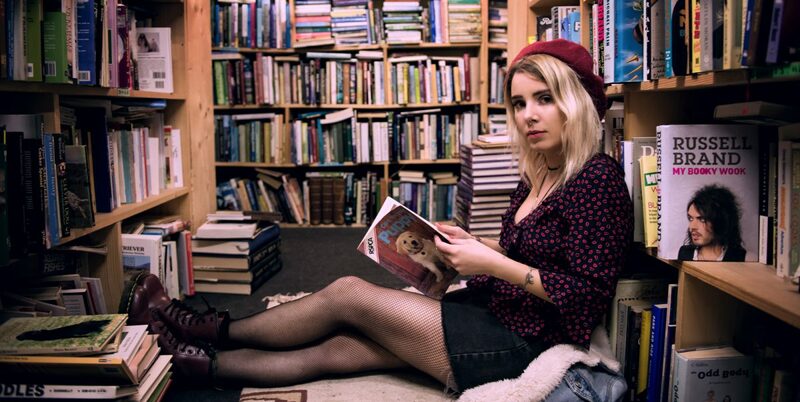 Alternative pop chanter Alice LA’s brand new single ‘Flowers and Florentines’ has provided the perfect step into spring. Having certainly secured a reputation for producing inspired content the Banbridge native has been a welcomed breath of fresh air in a sometimes-predictable musical landscape. Currently a part of The Oh Yeah Music Centre’s prestigious Scratch My Progress programme which focuses on talent development it has been energising watching Alice progress over the year. A refreshing and joyous opening the overtly pop vocal feels like a warm friendly breeze before reaching the grandeur of the chorus As with Alice’s previous singles there is a thrilling high with sharp expressive lyrics supporting a song that will resonate long after you’ve finished listening to it. The expanded sound and pulsating beat along with the gale force power of LA’s vocal has truly cemented ‘Flowers and Florentines’ as a modern pop presence. Shizznigh Presents: The Tragedy of Dr Hannigan, No Oil Paintings, Aidan Logan and Whale Talk. For their third Sound of Belfast gig, Shizznigh Promotions managed to put together another sublime line-up of performers. Consisting of new and established acts for a brilliant week night expedition to the Empire it certainly motivated a lot of people to come out in full force. Starting the night off is Whale Talk who despite being a fairly new band have been making a considerable breakthrough on the NI scene. They are the perfect band to help introduce and begin the evening with delicate harmonies and casual indie vibes. Up next is singer-songwriter Aidan Logan who has brought a full band with him for the night. Recently returning from Nashville where Aidan spent his time writing, recording and soaking in all that Tennessee has to offer. Very charming and confident on stage, Aidan immediately attempts to build a good rapport with the audience by telling them anecdotes about his songs and travels. His song ‘Higher’ is an incredibly catchy and infectious song and is the highlight of the set. Having spent so much time in Nashville it’s evident how much Aidan has been influenced by country throughout his set while also putting his own twist on songs . Towards the end of his set Aidan takes a moment to dedicate a song to his friend Margaret who just passed away ‘Seems You Better Go’. As the rest of the band step aside it’s just Aidan and his guitar accompanied by soft and gentle piano and is a beautiful tribute. Four piece ‘No Oil Paintings’ arrive next on stage and begin their set with ‘God Only Knows’. Lead singer Chris Kelly’s vocals sound immediately strong and powerful accompanied with George Sloan’s solid drums makes for a bold entrance from the band. Their second track ‘Cut Me’ has guitarist Sean Doone take the lead for vocals with a deeper and darker tone to his voice adding a melancholic element to the song. Finishing the set with their latest single ‘Icarus’ which the boys have also just released a video for the song begins with gorgeous harmonies. There is a really good synergy between all the members on stage and you can truly feel the connection that they not only have as musicians but as friends. The biggest triumph for any band is to be able to sound better live than they do on track and this is certainly true for No Oil Paintings. Finally the main act of the night, The Tragedy of Dr Hannigan takes to the stage with No Oil Paintings joining for the band’s debut gig. Inhabiting the full character of Dr Hannigan, Tony Wright appears with a top hat and long coat and it’s clear from the start that not only are we in for a musical treat but a theatrical performance as well. With so many people onstage it felt like a huge jam session was about to take place with an array of players and instruments. Dr Hannigan’s first release ‘Hey Little Worried One’ begins with impressive harmonies before the hypnotic drum beat kicks in. There is an electric atmosphere in the Empire as the audience become increasingly more and more excited as the band continue. There were points during the set that I felt as though I had been transported to a real blues bar located in Louisiana as my senses were completely overwhelmed by the incredibly funky ‘We Can’t Breathe’. Inviting Steven McCartney to the stage for the slowest song of the night ‘You the bottle and me’, Tony comes right down off the stage into the audience. Making his way over the tops of tables and across chairs it was almost as if the vigour of the crowd had carried him. Inciting the audience to begin chanting, the crowd continue to clap and foot stomp even after the band leaves the stage. Setting the bar for future performances, The Tragedy of Dr Hannigan’s first gig was a truly overwhelming and successful night for a band at any stage of their career never mind one’s debut. Author Aine Cronin-McCartneyPosted on November 12, 2017 November 13, 2017 Categories Arts and Culture, ReviewsTags artists, Belfast, Live Music, Music, Northern Ireland, Oh Yeah Centre, Review, Sound of BelfastLeave a comment on Shizznigh Presents: The Tragedy of Dr Hannigan, No Oil Paintings, Aidan Logan and Whale Talk. As part of the continuing Sound of Belfast festivities, Shizznigh Promotions presented a showcase of up and coming local bands and acts on Friday in the Oh Yeah. A remarkably versatile and talented line up of performers, it was great to see so many fans arrive from early on to help enjoy and support the evening. Another wonderful Sound of Belfast gig it was refreshing to attend an event with acts that were not only new to myself but a few that I had been meaning to catch for a while. Arriving just on time to catch the last few minutes of Darren Doherty and the Heathen Choir there is an upbeat atmosphere as everyone seems excited for a night of good music. Despite what their name might suggest the heathen choir helps support Doherty’s extraordinarily melodic musical offering and I look forward to catching the band in full next time. Up next was ‘Les Pantalons’ who provided more of a jam style routine with the three of them remaining seated throughout. The very chilled and relaxed position from the band made for an easy and enjoyable performance. ‘Part Time Pilot’s take to the Oh Yeah stage next as the audience starts to build. The bands energy and vivacious presence on stage helps to encourage audience members to gather at the front. Their great audience interaction ensures that fans are kept very interested and attentive for the whole set. Lead singer Enda Mc Crory has a very strong and alluring voice which along with their accessible rock sound has ensured that Part Time Pilots are a band worth keeping your ears open for. Catchy, melodic girl group Vokxen are next to perform as they enchant the audience with their atmospheric pop sound. The group shimmers on stage with both their glittery outfits and seductive harmonies creating the perfect pop storm. The trios synth heavy sound accompanied with sweet melodies and electronic dance tunes makes Vokxen the most memorable act of the night. Headlining the evening was the incredibly talented Anto and the Echoes, the six-piece who have a distinct look certainly appear the part on stage. It can often be difficult waiting to go on all night especially after so many acts before them but Anto and the Echoes take it completely in their stride. Lead singer Antony Breen is certainly a confident and self-assured front man who knows how to work both a crowd and a stage. Moving effortlessly from catchy pop songs to heavier indie rock sounds serves only to highlight the bands versatility. The band carries a very positive upbeat vibe when they perform and was something that the audience certainly reacted to helping to end a very successful Sound of Belfast showcase. For the second event of Sound of Belfast’s premier night, I made a quick dash over to the Empire where Gifted had put together an absolutely amazing line up. Unfortunately I missed alt rockers ‘Let Go Dive’ as I was making my way from one venue to the next but will be sure to catch them next time. Self described as polite rockers from Belfast ‘The Sea, Close by’ are up next and by this stage The Empire has started to fill out. Starting of their set with ‘Never Ever’ the band grow in confidence as they continue and become more relaxed throughout. After a few songs the drummer interrupts to tell the audience that bass player Kate and singer Alastair have just recently got married after originally meeting in the very venue we are standing in, ‘The Empire. Finishing off their set with ‘Humphrey’s Got a Heat Lamp’ they tease the audience briefly with the Friends theme tune before launching full force into their track and ending the set with their strongest song. North Coast post rock four piece ‘Born Only Yesterday’ are next to the stage. The boys who released their EP ‘The Eyes, The Heart, The Sin’ in September have been busy making their rounds on the local scene. Clearly having built up a burgeoning legion of fans there is a small crowd gathered at the front of the stage who are attentive throughout. Front man Danny McClelland is a commanding presence on stage and the band have an addictive energy with a great vibe between members. Above all Born Only Yesterday are enjoyable and fun to watch and they exude the kind of spirit that makes you want to join a band and I look forward to see what the next few months bring for them. Finally finishing off the night is the ever confident Sister Ghost who assuredly take their position on stage. Lead singer Shannon O’Neil is an incredible force to be reckoned with as she navigates and leads the rest of the band with ease. Already entrenched in the NI rock scene it’s easy to see why they have become favourites with their ferocious rhythms, diverse textures and distinct delivery. With highly rhythmic, rapid paced songs and O’Neil’s vocal power and ability always make Sister Ghost a very entertaining act to watch.